Marshall JCM600, JCM900, JCM2000. There are many models produced for each class and type of power amplifier: single-ended, push-pull class A, AB. You can also ask variants and customized specifications. Amplificatore Yamaha (Originale) Vintage per chitarra elettrica, modello (prima serie) G100B-212 potenza 100 Watts, anno 1974, in buone condizioni, perfettamente funzionante. Completo di rotelle per trasporto e custodia in pelle nera. ————————————| Yamaha Amplifier (Original) Vintage for electric guitar, model (first series) G100B-212 power 100W year 1974, in good condition, fully functional. Complete with transport wheels and black leather case. 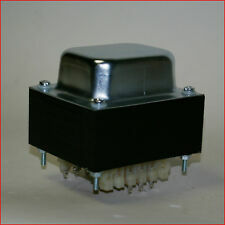 Versatilissima head made in Germany, 6 channels all interchangeable via the footswitch (not included). Versatilissima testata made in Germany, 6 canali tutti intercambiabili tramite il footswitch (non incluso). Vox AD 30 VXL Valvetronix hybrid technology (uses a 12AX7 tube in the preamplifier and solid state electronics in the power amp to get the best of both worlds) 30 watt r.m.s. 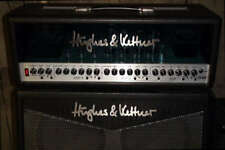 guitar combo amplifier with 12AX7 tube and 12' speaker in excellent condition with optional Vox VFS2 footswitch. Preamplifier ECC83S and power amplifier 2x EL84. Weight: 13.1 kg. Speaker outputs for 8 and 16 Ohm. Integrated switchable power soak (full power - 5 Watt - 1 Watt - zero). Balanced line out (6.3 mm jack) with speaker simulation. Leem S25RG Guitar Amplifier 25W with Reverb. Guitar Amplifier with Reverb 25. Watt 2-channel Custom. 3-band EQ (Treble / Mid / Bass). Biete einen gebrauchten, funktionstüchtigen Clifton M-20 Guitar Amplifier an. Bedienungsanleitung habe ich keine. VOX amPlug Headphone Amplifier. Plug your CD or MP3 Player in and play along. Verbinde einen CD oder MP 3 Player und spiele mit Deiner Lieblingsband. Eine vielseitige Auswahl an digitalen Vorverstärkern, Modulations- / Delay- / Reverb-Effekten, Lautsprecherkabinensimulation, einem eingebautem Tuner und einer 15-Watt D-Class Endstufe der zum Betreiben von Speaker Cabinets. By Nickelodeon. SpongeBob Guitar Amplifier BB Blaster. - 10 Watts Guitar Amp. - Gain Bass Treble Master. - 1 x Drive & 1 x Clean. - 1 x Input. LIMITED EDITION. Specifications SB-BB10. Optischer Zustand: mit optischen Gebrauchsspuren. (Gerät ist zwar schon einige Jahre alt, aber ist eigentlich NEU, war jahrelang im verschlossenen OriginalKarton und wurde vor wenigen Wochen nur für Prüfzwecke geöffnet. Das Gerät ist also top erhalten und in so einem Zustand nahezu eine Seltenheit :). POWER 100 WATT RMS - SIGNAL/NOISE RATIO 70 dB. - PESO 35 KG. - TRHU PUT. - USCITA SU ALTOPARLANTE AUSILIARIO 8 Ohm. -MID HIGH RANGE TROMBA CONICA 17 x 9 cm ca. -N 2 ALTOPARLANTI - 2 LINE IN LEFT RIGHT. 1x cavo USB. - Amplificatore per chitarra con uscita 5W, con dispositivo per effetti di distorsione incorporato. 1x amplificatore per chitarra (batteria inclusa). 1x manuale inglese. People always bought together with. Description: Brand: JOYO Model: I-Plug Product Type: Headphone amplifier with link jack Color: White Product Weight: 58g Product Dimensions(L x W x H): 92 x 45 x 24mm Package Dimensions(L x W x H): 75 x 100 x 40mm Approved: CE / FCC - Type: 6.35mm mono socket - Maximum Input Level: -10dB - Input Impedance: 1M Ohm - Type: 3.5mm stereo socket - Headphone Impedance: 32 Ohm - Type: 3.5mm 4-pink socket - Link Input Impedance: 100K - Link Output Impedance: 10K -It is used for connecting to CD / MP3, and IOS / Windows / Android devices..
Der ENGL E606 Ironball ist dafür geschaffen die Bedürfnisse von Musiker aller Stilrichtungen zu vereinen. Außerdem bietet er stämmige Crunchsounds und fette Leads, die man von einem Amp dieser Größe nicht erwarte würde. Used for Many Recordings in My Studio. The Total Blues Amp Got two so this Can Go. Straight in Ya Face Killer Tone. Hey Mrs. Gibbons. One pair, two 6V6GT G 6V6 GTG VT107A black glass Sylvania, tested with U61C. Power Supplies / Netzteile. Cables & Adapters / Kabel. Sound Cards. Complete Systems & Units. System Cases / Gehäuse. Pickup possible. Server Parts. Laptop Parts. VOX AP2-CR amPlug2 Classic Rock. Headphone Amplifier - Amplificatore per cuffia. Non è provvisto di altoparlante interno e ti consente di collegare una cuffia alla tua chitarra elettrica. Talvolta viene aggiunta una quarta parte (scritta tutta in minuscolo) se il prodotto necessita di una ulteriore informazione. Chitarra Plug Headphone Amp 1 cavo. cavo USB 1 Splitter Plug. 6.35mm/0.25in spina, basta collegare la presa della chitarra, senza bisogno di installazione. Max.20mA formato del prodotto: 8.7 8.1 2,9 cm / 3.4 3.2 1,1 in. One pair 6087 5Y3WGTB valve 5Y3 WGTB D getter tested with U61 NOS & NIB. “You will get what you see in the pictures.”. Important Reminders.